The Predator action is designed for hunting use. It can also be used for competition. It is a 416R stainless steel action with a Remington 700 style footprint. It is available in both single shot and repeater versions with both right and left bolt. Short actions have 223, 308 and magnum boltfaces, long actions have 308 or magnum boltfaces. 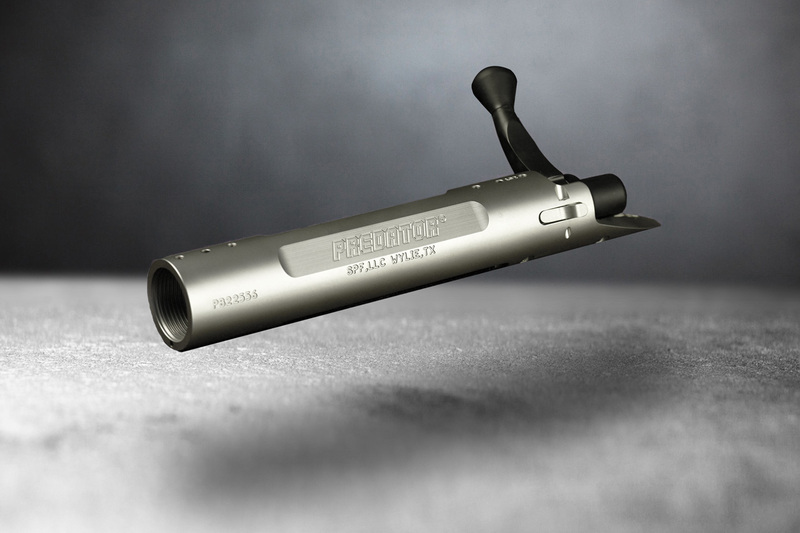 The 223 boltface uses the sako style extractor, while the others use a modified M16 type. The Predator has a number of features that factory actions lack. It has an extended magazine well for the handloader who likes to seat his bullets longer than factory ammo. 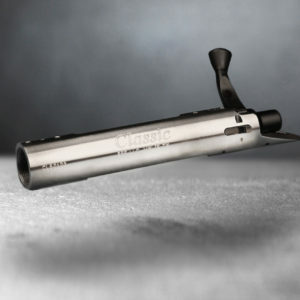 It uses the most dependable extractor available today and has an enlarged primary extraction camming surface. It uses #6 screws for scope base mounting – As of 9/18 we are transitioning the Predator series to #8 screws as we use up the #6 bodies. The bolt is one piece, hand lapped to the action and fluted for better in field function. The firing pin is fluted for faster lock time and is fully supported within the bolt body. The bolt handle is threaded for the bolt knob of choice.